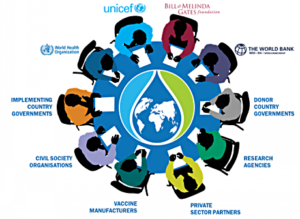 The Board of Gavi, the Vaccine Alliance, has set parameters for a new five-year strategy for the public-private partnership that should not only expand delivery of priority vaccines but also strengthen primary health care systems that are a cornerstone to effective vaccine delivery. The Geneva Board meeting that ended yesterday concluded with a series of decisions that are to guide finalization of Gavi’s 2021-2025 goals and strategy, to be approved at the next Board meeting in June 2019. Vaccines to be prioritized: include hepatitis B birth dose to prevent chronic infection, which can lead to liver cancer; diphtheria; three pertussis & tetanus boosters at infancy, early childhood, and early adolescence; oral cholera vaccine – to reduce incidence of a disease that mainly affects poor people; human rabies vaccine; meningococcal A,C,W-containing vaccine to expand protection beyond meningitis A; and respiratory syncytial virus (RSV) – to prevent one of the most common causes of bronchiolitis and pneumonia in children under 1 year of age. The Board also agreed to continue investing in the global stockpile of cholera vaccines until 2020. The stockpile will support efforts by a Global Task Force on Cholera Control (GTFCC) to reduce by 90% deaths from the disease by 2030. “Cholera is often an indicator of inequity and poverty,” said Dr Ngozi Okonjo-Iweala. “Outbreaks of this disease are currently on the rise, devastating families, communities and countries. Gavi, the Vaccine Alliance is a public-private partnership committed to saving children’s lives and protecting people’s health by increasing equitable use of vaccines in lower-income countries.